I read this article and found it very interesting, thought it might be something for you. 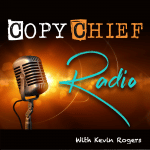 The article is called Ep 125: John Romaniello – Leapfrogging Your Competition With Superior Writing Chops and is located at https://copychief.com/ep-125-john-romaniello/. Honing your writing chops is the fastest way to set yourself apart in a crowded market. In fact, just by being a BETTER writer than your competition, you’ll leapfrog your rivals and build a loyal following faster than you imagined possible. So… how do you sharpen your writing skills and put ’em to work boosting sales for your business? 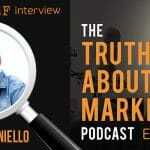 My guest today is John Romaniello. John is a NY Times bestselling author of Man 2.0 – Engineering the Alpha. John landed a 7-figure deal on his first book… and even got Arnold Schwarzenegger to write the foreword. John runs Roman Fitness Systems. He’s a fitness guy who helps clients get huge or get hot. He’s also a pretty damn good writer… and it’s one of the biggest reasons behind his prolific status in the fitness industry. … and when you’re not afraid to write about the things they care about the most, you become their go-to person in the market. In this episode, John reveals the tactics, shortcuts, and secrets molding his unique writing style… and how you can quickly build an audience online using your writing chops. 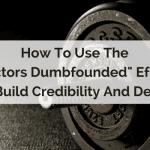 The surprising reason John decides to bolt from the fitness industry… and the biggest telltale sign your writing will have more impact in a different market. The “Battle with a spider” secret that hurls a young John to top-of-the-heap fitness pro… and how you can use it in your business. What’s the one thing John’s done that’s produced the most surprising result? Check out how John boosted sales with this bizarre method at 27:00.